For longer journeys, the ‘SEED Car’ is housed within the ‘BIRD Car’ – an autonomous shuttle vehicle capable of traveling further than the four-wheel cycle’s range capabilities. Once within 100km of its final urban destination, the ‘SEED Car’ is ‘dispersed’ to complete its journey. The new state-of-the-art KIA Plaza along Oshodi-Apapa Expressway Isolo, Lagos. Kia’s trendy and superior design, quality engineering and intuitive technology have continued to remain a driving force in the auto industry and strengthen its market acceptance in Nigeria. To complement the burgeoning car sales and the need to ensure Kia customers’ get the best out of their car, Kia Motors Nigeria has built a new state-of-the-art service centre to offer best-in-class service delivery to customers. As a brand that’s ever-vibrant and strives to make life richer every day, Kia has redefined the automotive technology with the new facility. The upgraded Kia Plaza promises to be one of the biggest service centres in the country with 81 service bays built to the exact standard of service facilities across the globe. At the new KIA Plaza, customers get the ACE advantage: affordable pricing; certified professional technicians; and exceptional service delivery. In addition, customers who visit the plaza from the 3rd to 13th of April will get a free vehicle health and loads of other surprises at the plaza. Located at 118, along the busy Oshodi- Apapa Expressway, in Isolo, Lagos, the new facility has much greater exposure to the adjoining Dana House along the expressway. Adorned with the new corporate identity for the Kia brand, the service centre is set to provide exceptional service delivery to customers and to also cope with the volume of the ever-increasing Kia sales in the country. Taking a leap to strengthen the brands’ customer service, there is an increased number of service advisors and certified mechanics in the facility to offer real-time repairs on cars and increase the efficiency in service delivery to customers. Managed by certified professionals, the full-fledged Kia Plaza also has an ultra-modern body shop amongst other technical sessions to offer an exclusive range of personalised after-sales service for customers. With a one of its kind see-through customer lounge, Kia Motors Nigeria prides itself on a transparent and fair service delivery and above all, allows customers to have an experience and a feel of how their cars are repaired. 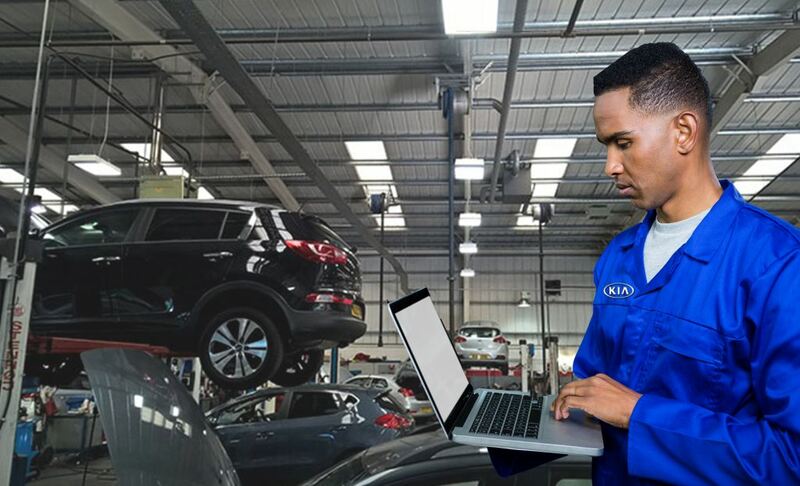 ‘Service is what we do best because we believe above all else this creates loyalty and brings you back into the Kia brand for your future motoring needs. Our friendly Staff and Factory trained technicians ensure we carry out the Service with minimal fuss. We only use the latest state of the art equipment as specified by the Manufacturer including the latest Diagnostic machines, which in many cases are linked via the Internet to the factory to update your vehicles computer with the very latest specifications. All general services are completed under manufacturers’ recommendations using genuine parts. Additionally, customers can choose to enjoy our lounge area or take one of our Kia courtesy cars” said Olawale Jimoh, Marketing Manager, Kia Motors Nigeria. Aligning with Kia’s global trajectory in Nigeria, the company has over the years distinguished itself in the industry and hinged its business operations on providing exceptional customer service to meet the ever-increasing demands of customers. Kia’s growth in Nigeria is premised on a clear strategy for competitive pricing and its delivery of exceptional customer experiences. Having been the first company to offer a 5-year warranty to its Nigerian customers, the brand’s quality and service offering is second to none and has over the years place the Kia brand in the top echelon of car brands in Nigeria. Through a combination of strategy, creativity, and technology to exceed its customers’ expectations, Kia Motors Nigeria has driven a remarkable growth for the brand and its acceptance in the country. To sustain the brand’s momentum and remain a leading auto brand in Nigeria. Kia continues to create an end-to-end top-notch service delivery to customers and provides dynamic and exciting experiences that go beyond expectations. Having planted seeds of quality and exceptional service delivery with the new Kia Plaza in Nigeria, the brand has continued to flourish and is already sprouting nicely beyond the reach of its peers. Kia Motors today presents its future mobility vision at the 2018 Consumer Electronics Show (CES) in Las Vegas. Under its new ‘Boundless for all’ vision, Kia will bring a future in which opportunities for mobility and transportation are limitless. To broaden horizons with its mobility services, Kia is also demonstrating a range of new technologies as part of its new ‘ACE’ strategy to make its cars more Autonomous, Connected and Eco/Electric. “‘Boundless for all’ is Kia’s future vision – where everyone has the opportunity to enjoy the infinite value that future mobility will bring. This is Kia’s manifesto for its role as a mass mobility provider in the future. Consumers are bound today by the idea that a car is ‘just a vehicle’, but Kia is committed to providing a broader solution to mobility. 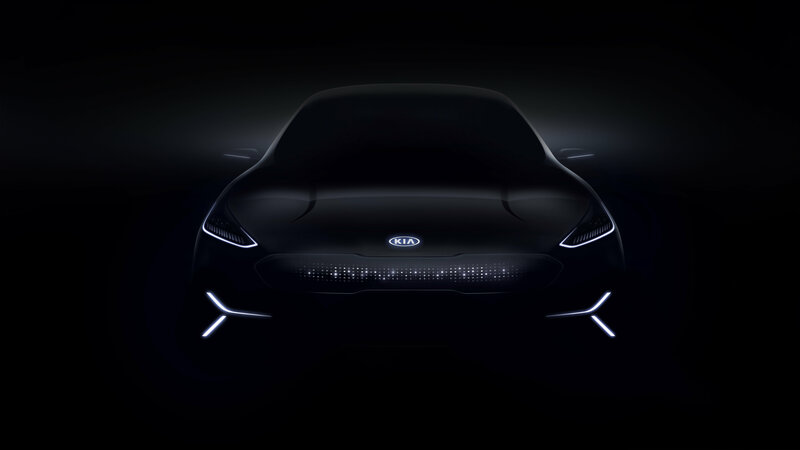 ‘Boundless for all’ represents a future in which a vehicle can be so much more than the sum of its parts,” said Dr. Woong-chul Yang, Vice Chairman and Head of Kia R&D Center. Alongside these technologies, Kia announced its plans to roll-out its ‘WiBLE’ car-sharing service – launched in Korea in 2017 – to new regions from 2018, starting with Europe. At CES 2018, Kia is presenting a range of interactive exhibits which combine existing and future technologies. These demonstrate how vehicles could be optimized for enhanced connectivity as they become more autonomous. Kia’s exhibits at CES 2018 hint at a future ‘Beyond Autonomous Driving’. Visitors can interact with Kia’s developing autonomous drive technologies through a VR simulator, while also experiencing a V2X diorama demonstrating how cars could connect with other vehicles and the urban environment. The company plans to operate a large-scale test fleet for autonomous technology on public roads from 2019, paving the way for commercial production of the technology. 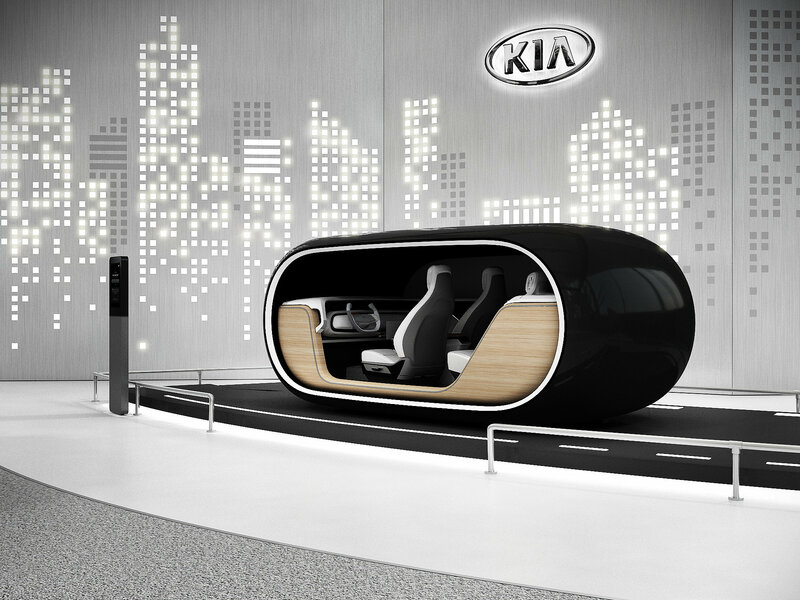 Kia aims to commercialize Level 4 autonomous vehicles in smart cities from 2021 with a new Smart City pilot project. “Kia’s connected cars will be both boundless and connected and offer a new kind of mobility experience. Virtual reality, self-driving cars, and ‘vehicle-to-everything’ connectivity were all once considered technologies of the distant future. As they rapidly become a reality, Kia is exploring how to deploy these new technologies for its customers. Our strategy and vision for future mobility is demonstrated by a range of interactive displays, showing what our customers can look forward to,” said Vice Chairman Yang. Kia will continue to expand its range of environmentally-friendly cars in the coming years, and plans to offer a total of 16 electrified vehicles by 2025, including a fuel-cell electric vehicle (FCEV) in 2020. As part of this strategy, Kia is exhibiting the Niro EV Concept at CES 2018. Combining the stylish design of a modern compact SUV with the high efficiency of an advanced battery-electric powertrain, the Kia Niro EV Concept represents the next step in the brand’s ongoing journey to electrification. Created by Kia’s design studio in Korea, the Niro EV Concept is a fully-electric compact SUV. Its aerodynamically-efficient body allows air to slip over, around and beneath the vehicle with ease. The traditional grille – no longer required for engine cooling – is replaced by a smooth interactive display panel, combined with ultra-slim lamp technology in the overall front. In profile, the concept draws inspiration from the current Kia Niro, with a modish compact crossover silhouette, elevated body and wide C-pillar. The Niro EV Concept’s seamless rear aspect has clean and sharp trailing edges allowing air to flow more easily off the back of the car. The Niro EV Concept is powered by a next-generation electric vehicle powertrain, using new production technologies earmarked for near-future EVs from Kia. Energy is provided by a high-capacity 64 kWh lithium-polymer battery pack, paired with a powerful 150 kW electric motor. The Niro EV Concept suggests a driving range of 238 miles (383 kilometers), with zero tailpipe emissions. At CES 2018, Kia is exhibiting its latest HMI technologies, autonomous drive features and the world’s first in-car 5G connection. These exhibits hint at innovations that could be adapted for use in the brand’s future vehicles. Kia is demonstrating these innovations through a set of interactive cockpit-style experiences, presenting the brand’s ‘Beyond Autonomous Driving’ vision with technologies that idle passengers can draw upon in a future of vehicle autonomy. Creating a more digital interaction between car and driver than in a traditional vehicle, the HMI allows drivers to ‘log-in’ to the vehicle using face and voice recognition. The facial and voice recognition technology, developed in collaboration with Amazon Web Services (AWS), welcomes drivers and adjusts vehicle settings based on preset individual preferences. Leveraging ‘Amazon Rekognition’ and ‘Amazon Polly’ – highly accurate facial analysis and voice services provided by AWS – the new system disables many of the car’s functions if the driver does not pass the identification process. The HMI cockpit at CES 2018 lets users experiment with these exciting new in-car technologies. A second cockpit demonstrates the world’s first in-vehicle 5G connection – with a real-time connection established between Las Vegas and Seoul, Korea. The 5G connection enables users to stream contents reliably into the car, linked to the exhibit’s infotainment system. Enabling urban and suburban mobility, Kia has today announced plans to roll-out its ‘WiBLE’ car-sharing service to new regions. Launched in Korea in 2017, WiBLE – a portmanteau of ‘Widely Accessible’ – will be introduced to certain European markets and cities from late 2018. 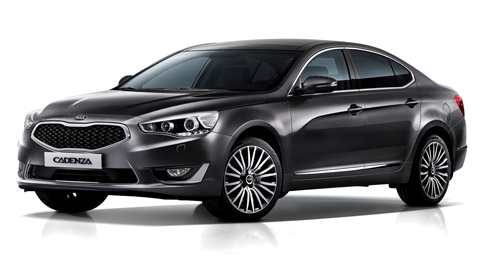 Kia plans to expand the service into other markets around the world in the coming years. WiBLE will be serviced in the designated areas in city centers, providing vehicles to customers who need to drive but may not own a car of their own or who want more convenient drive in city centers. In Korea, WiBLE users have access to a variety of different Kia cars to complete their journeys, including the Soul EV, Niro hybrid crossover and larger vehicles. Vehicles are equipped with a range of Kia’s active safety technologies to help customers complete journeys safely in a car with which they may not be familiar. This format is expected to be carried over into new WiBLE markets. WiBLE is accessed via an accompanying smartphone app. Users then pay for individual journeys in a WiBLE vehicle, charged according to the amount of time they use the car. WiBLE in Europe enables users to complete one-way journeys, rather than requiring them to return the car to the same point, for maximum convenience and value for money. Kia will announce the first European locations for the launch of WiBLE later in 2018. From L-R: Abiodun Onifade, Marketing Manager Cars45; Jimoh Olawale, Marketing Manager, Kia Motors Nigeria, Etop Ikpe, CEO Cars45; Olu Tikolo, Vice President, Kia Motors Nigeria; Chinedu Okwuosa, Director of Operations, Cars45; and Mohammed Iyamu, Vice President Trading, Cars45. In a bid to continuously offer customers the best Kia ownership package, Kia Motors Nigeria has teamed up with Cars45, the foremost online retail platform for used car sales, to provide a uniquely seamless pre-owned car sales and Trade-in program for all Kia cars. 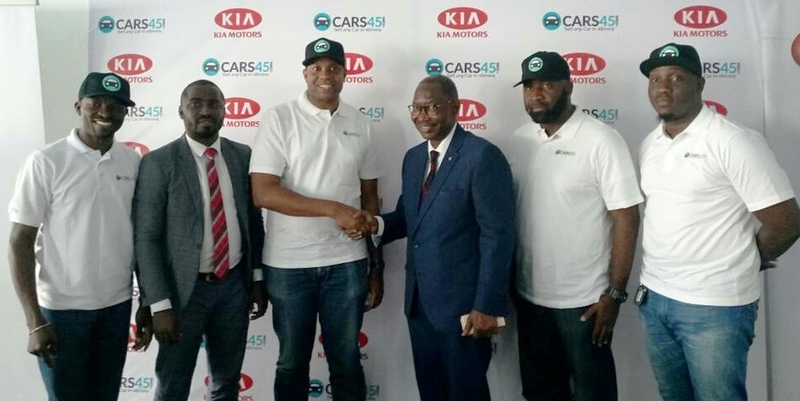 As the popularity of Nigerian used car sales increases with consumers, Kia partners Cars45 to offer a refined certified used car program to meet the demands of a competitive marketplace. The Certified Used-Car scheme offers a unique and comprehensive service where a car owner can trade-in a car for an all-new Kia car or an outright sale of a used Kia car with an immediate payment. The scheme offers a fair valuation and a competitive deal on used cars. The process is seamless, accessible to all and very easy, above all, it provides a Certified Used-Car service that’s tailor-made and customisable to suit customers’ needs. Over the past few decades, there had been a direct nexus between the buying power of the people and the upsurge in the used car sales. However, this demand was exploited thereby making the country a dumping ground for all sorts of used cars across the globe and sadly affecting the growth of the country’s auto industry. On the heels of this development, Kia and Cars45’s recognise this gap and hence the resolve to offer the best-in-class certified used car program has changed the landscape of the pre-owned car program and taken some strides ahead of the pack. The partnership brings to the fore the first synergy between an online used car portal with a leading car brand in the country. Straying away from the hitherto practice of importing used car which inhibits the development of the local car production and the sales of Nigerian used car, the partnership is set out to strengthen the country’s auto industry, thereby making used car ownership more structured, affordable and accessible. “We have witnessed strong demand for our used Kia cars and customers have over the years asked for a trade-in option for a new model. The market size of pre-owned cars has grown significantly and our partnership with Cars45 is aimed at offering a well organised used car and trade-ins with a complete peace-of-mind and a hassle-free ownership experience to our customers. The country’s used car market has a huge growth potential and we expect ‘Kia Certified Used Car’ business to grow in the foreseeable future and contribute to the brand’s growth in Nigeria. Our partnership with a leading online used car sales portal, will not only roll out a used certified car program but also offer customers more choice, enabling them to create a bespoke buying process that suits their needs” said Olu Tikolo, Vice President, Kia Motors Nigeria. Further speaking on the initiative, CEO, Cars45, Etop Ikpe said: “Our business is beyond providing a platform for Nigerians to sell their cars. The desire to meet the customers’ expectations is what is paramount for us at cars45. “The Used Car Market is growing and we have seen a lot of requests from Kia owners for an opportunity to swap their old Kia for new ones. This plan we believe further restates Cars45´s commitment to the Nigerian people to ensure that there are cars for the average Nigerian whenever he or she wants one”. The program enables you to sell your car or swap it for a new model. The partnership offers a unique and comprehensive service where customers can sell their cars in a quick, efficient and streamlined way with a fair evaluation. Car owners willing to sell their cars or swap it for a new one do not have to compromise on their convenience. The program is tailor-made and customisable to suit individual needs of customers. The need to provide a fair used car sale or swap program to the exact standard of global practice forms the crux of the partnership between Kia and Cars45. The partnership will further strengthen the auto industry and set it on the path of greater heights by exploring the used car business that has been the bedrock of the auto industry globally. The experience of buying a Kia Certified used car is equivalent to a new car purchase, offering class-leading facilities, service infrastructure, tailor-made service packages and fair evaluation, said company statement. A customer can walk in into any Cars45 inspection centres across the country and swap an old car for a new Kia or sell old Kia cars for cash. It’s a great time to take advantage of the Certified Used Cars scheme as customers can now sell their old Kia car or swap it for the 2018 models. 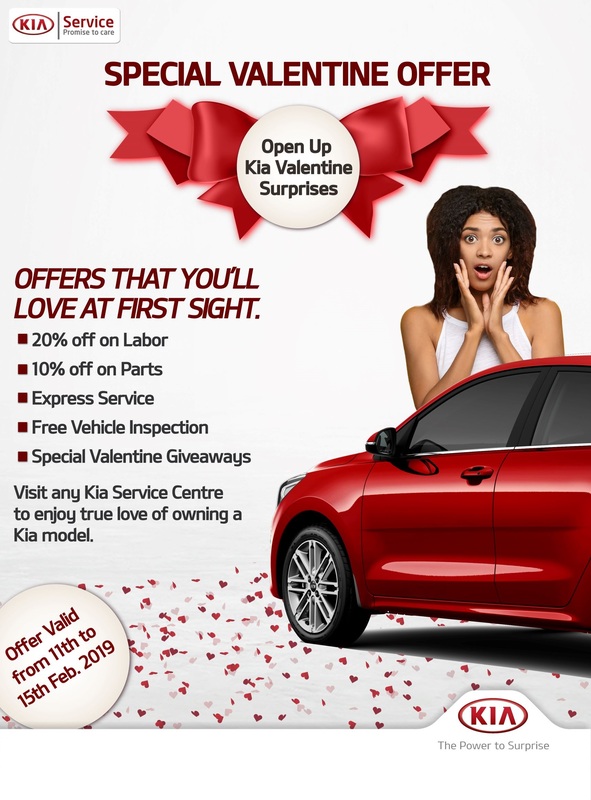 To avail this offer, you can visit any Kia showroom or Cars45 inspection centre for an evaluation or bring their used cars to the Certified Used Car showroom located at 43B Akin Adesola Street, Victoria Island, Lagos. 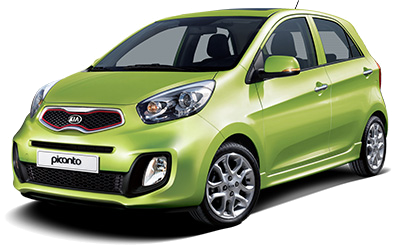 Kia Motors Nigeria, the sole distributor of the leading Korean brand in Nigeria has recorded increased sales in the year 2017 with over 200% year-on-year sales from 2016. On the heels of this achievement, the company is set to triple its sales in 2018 with a sustained comprehensive business strategy. 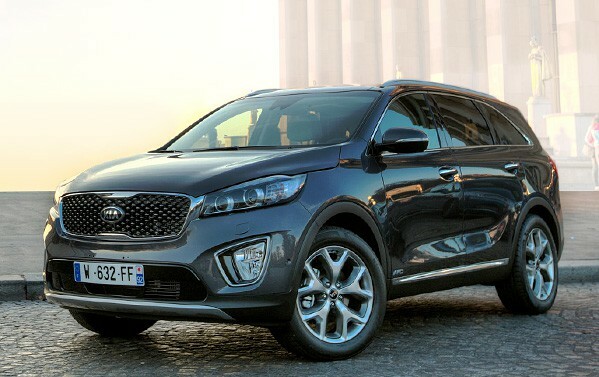 Kia’s increased sales followed the country’s economic recovery from the recession that had hitherto stagnated all the sectors of the economy particularly, car sales in 2016. As a major player in the automobile industry, Kia’s business strategy and the extensive customer-based sales and service programs broke the ice and paved way for a record high year-on-year (YoY) sales. “With our strategic business propositions, we are set to triple sales by expanding our units in operations (UIO) with increased new sales in the in the year 2018,” said Chief Executive Officer, Jacky Hathiramani. On how Kia defied all odds to record the increased sale, Jacky alluded to the fact that Kia had always stay ahead of the curve with the top of the segment cars that have low maintenance costs and are affordable to the customers. 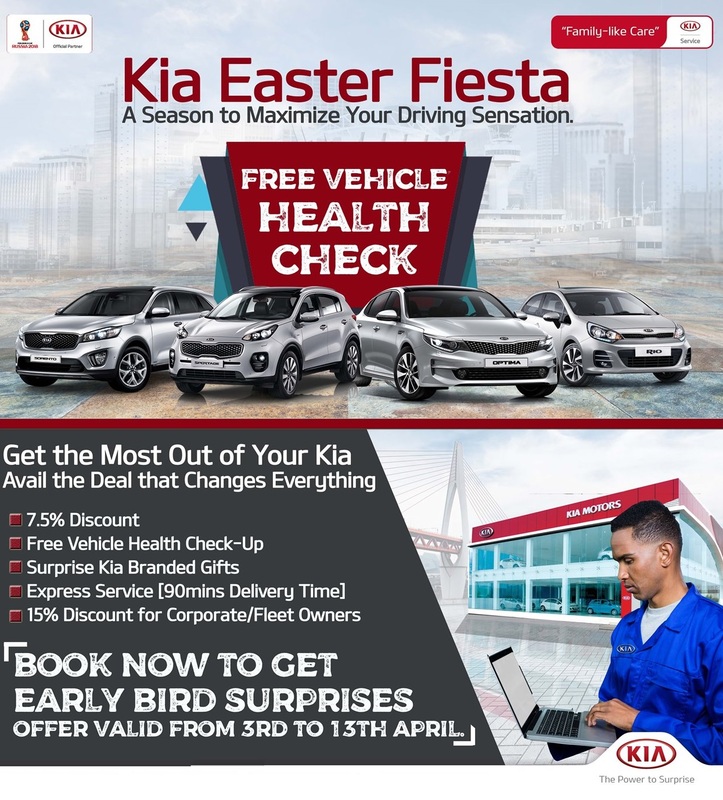 It will be recalled that there was an offshoot in the prices of products across all sectors of the economy amidst low buying power, however, Jacky maintained that Kia’s commitment to offering highly competitive pricing on its models played a major role in the record sales. Among the aggressive sales initiatives undertaken by the company in 2017 was Kia Drive Your Dream and Ember Surprise Promos. The company’s service promos also contributed immensely to the overall revenue for the company. 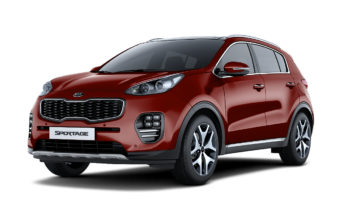 The introduction of Kia Double Deal Promo with over 15% discount on both parts and labour recorded tremendous success and helped increase Kia brand confidence among customers. “These programmes increased our customer retention and loyalty towards the brand,” said Jacky. He added that the company is set to introduce new models in the year 2018, headlining these models will be the world adjudged best-in-class luxury sedan, Kia Stinger, the B-Segment leader, SC Kia Rio and newly refreshed Kia Cerato amongst others. Meanwhile, on the general low stock level pervading the industry, he said the company was currently facing a high back order for some models, and was looking forward to assembling the cars at its plant in Lagos, Nigeria before the year-end. It will be recalled that Kia Motors Nigeria began its local production in the wake of the implementation of the auto policy in 2014. The company built an ultra-modern assembly plant in Lagos with a capacity to produce 27,000 units of vehicles per annum. 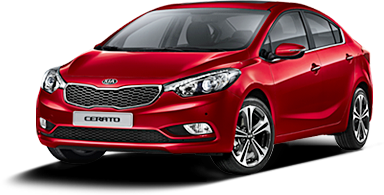 Locally producing cars to the exact standard of Kia Motors Corporations in Korea, Kia Motors Nigeria currently produces the cars locally and the 2018 Kia Rio in addition to the recently launched Sorento, Sportage and Optima are produced in its plant in Lagos. Kia Motors Corporation (www.kia.com) – a maker of world-class quality vehicles for the young-at-heart – was founded in 1944 and is Korea’s oldest manufacturer of motor vehicles. Over 3 million Kia vehicles a year are produced at 14 manufacturing and assembly operations in five countries which are then sold and serviced through a network of distributors and dealers covering around 180 countries. Kia today has over 51,000 employees worldwide and annual revenues of over US$45 billion. It is the major sponsor of the Australian Open and an official automotive partner of FIFA – the governing body of the FIFA World Cup™. 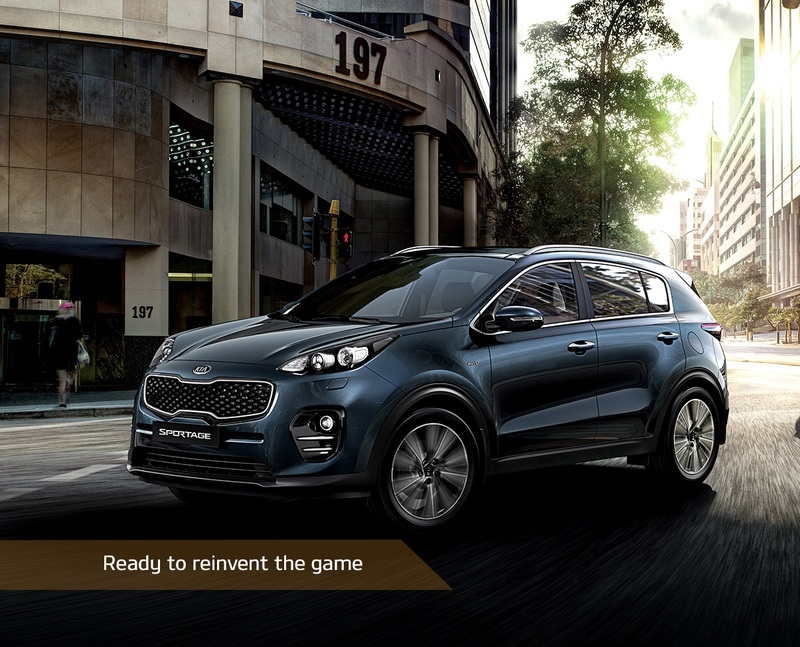 Kia Motors Corporation’s brand slogan – “The Power to Surprise” – represents the company’s global commitment to surprise the world by providing exciting and inspiring experiences that go beyond expectations. In the same vein the great Muhammad Ali’s famously taunted heavyweight-title opponent Sonny Liston, saying he’d “float like a butterfly, sting like a bee” in their upcoming match back in 1964. We have to wonder if the team that developed the all-new Kia Stinger took that quote as their mantra, because it describes with uncanny precision the car they created to attack the sports-sedan segment. As a true gran turismo, Kia Stinger places a strong emphasis on high-speed and long distance driving. In its debut year, the all-new Stinger is making a name for itself among industry experts, and beating out the competition. The sedan’s proportions fit like a tailored suit. The cabin is more luxurious, enveloping and boasts of details that captivate and exude both newness and timeless style. With an exterior that disarms, and an interior that is beautiful, The 2018 Kia Stinger is effortlessly functional. Kia Stinger represents a number of firsts for Kia Motors. Not only is it the brand’s first fastback sports sedan, but it is also the highest performance model to date. Countless decisions regarding design and engineering were made during the car’s conception in order to generate the heart-pounding performance of the Stinger GT. With innovative refinements and rigorous fine-tuning, the sports sedan is shaping up to be an iconic model that usher in a new era of design and performance for the brand. The Stinger is the first model in Kia’s line-up to offer five different driving modes – Personal, Eco, Sport, Comfort and Smart – for more customized and responsive handling on the road. With increased body sealing and improved sound insulation, Kia has also boosted NVH performance for a pleasant and silent ride. To ensure smooth and stable driving performance, Kia has paid special attention to fine tuning the suspension of the Stinger. Employing high quality suspension links, springs and shock absorbers, Kia has refined tire movement to prevent spinning on sudden turns – a problem that can occur with rear-wheel drive vehicles. Everything from the engine room layout to weight distribution of the car has been rearranged and optimized. The low center of gravity and stiffness of the vehicle body keeps the Stinger lightweight and well-equipped for maximized driving performance and fuel efficiency. The reorganized layout reduces flow resistance to the front of the engine which leads to a much more effective engine cooling process. “From its GT concept-car origins to the years of tuning and refining on the legendary Nürburgring circuit, no detail was too small to be obsessed over.” – Orth Hedrick, VP of Product Planning, Kia Motors America. Meticulously crafted for the driver who loves the drive, every interior detail of the Kia Stinger is obsessed. From the available ultra-soft Nappa leather that envelopes the deeply contoured seats to the metallic accents placed thoughtfully throughout the cabin. Intimate yet expansive. Classic yet modern, the Stinger’s aircraft-inspired interior marries simplicity with substance to give you a sleek cockpit rich with comfort-focused amenities and lowered seating for enhanced connection to the road. It’s the evolution of gran turismo, beautifully realized. With its striking curves and promising performance chops, the Stinger has been adorned across the globe with reputable awards, one of such is the Cars.com’s Best in Show Award for the 2017 Detroit auto show. Set to redefine the luxury sedan segment, Kia Stinger plans to stun all and dictate the pace in the keenly contested segment. We hope you look forward to the arrival of the Kia Stinger in Nigeria in 2018!